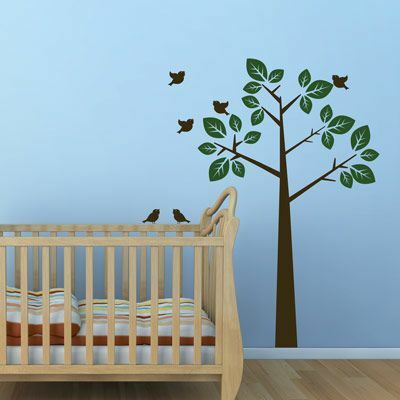 Our Simple Waving Tree with Birds is a sweet and adorable addition to any space! Our wall decals are ideal for bedrooms, offices, living rooms, entryways, classrooms, even your car, bathtub or glass shower doors! This modern and simple tree measures 65 inches high by 41 inches wide, as shown with the leaf placement. Tree by itself measures 59.5 inches high by 32 inches wide. Birds (6) measure around 4.5 inches wide. Color shown - Tree is shown in Dark Brown and Leaves are shown in Hunter Green. Birds shown will be made in the same color as the tree. Available in up to 3 colors of your choice! This Simple Waving Tree with Birds comes in sections for easier application. This decal is adorable and I combined it with the poppies and birds sold here. Together they made my daughter's nursery unique and adorable in a classy way! The cherry blossom branch took a little more time than the other decals we ordered, but it was very easy to apply to the wall and looks amazing. 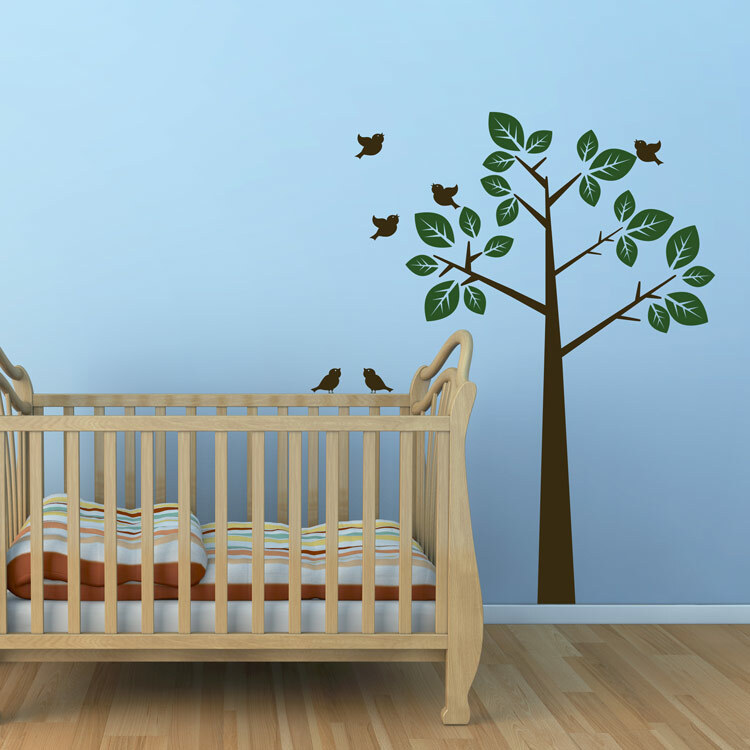 We recently received our decals (giant tree with falling leaves and set of 7 cute birds) and wanted to let you know we were more than pleased with the outcome! You guys even sent us extra birds that we also ended up using. These were for our nursery and I know our daughter will enjoy them for years to come. Thanks again! I am a Happy Customer!